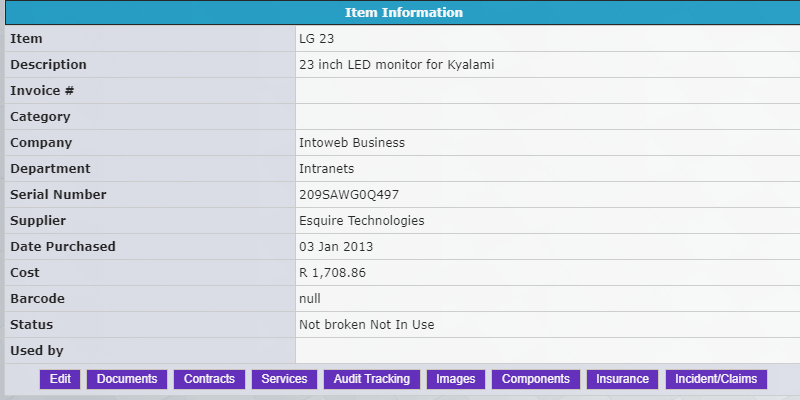 Intoweb's Asset Management software records and can track your company assets. 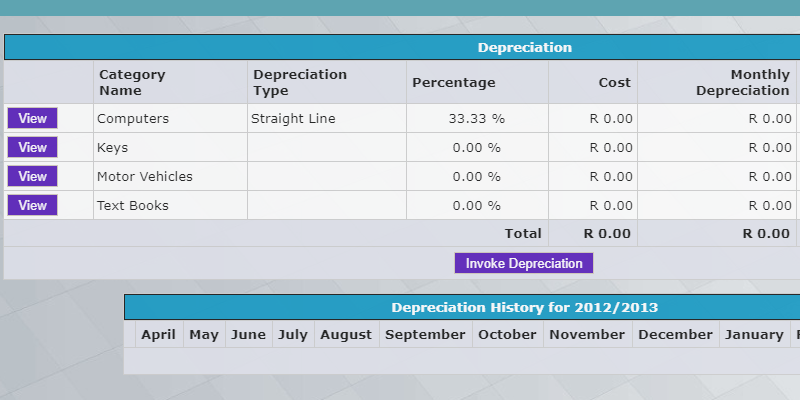 The asset management software is vital to keep track of which assets are active and in use, or not; and recording value and depreciation. 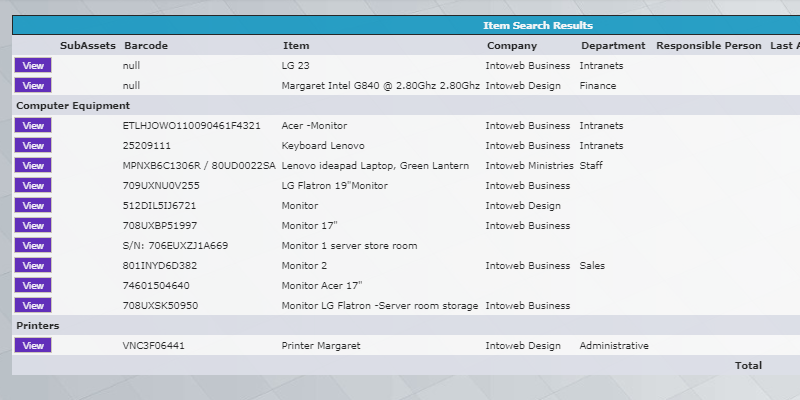 Assets are recorded and categorised, and information such as purchase or supplier information, cost and current users and those under warranty. 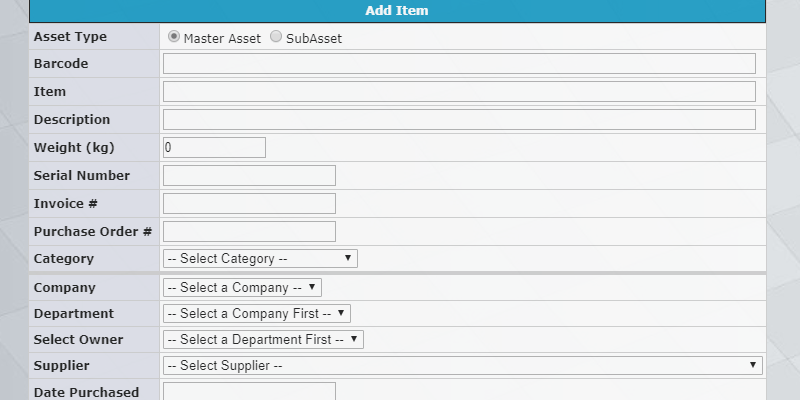 The Asset Management Software can be used as a standalone version or in conjunction with the other Intoweb intranet modules. An online asset management system, the software allows the user to access any asset related information from anywhere in the world at any given time, as long as you have Internet access. The system uses the Intoweb framework, which includes anti-spamming, anti-illegal file uploading and anti-SQL injection, and various other security techniques. 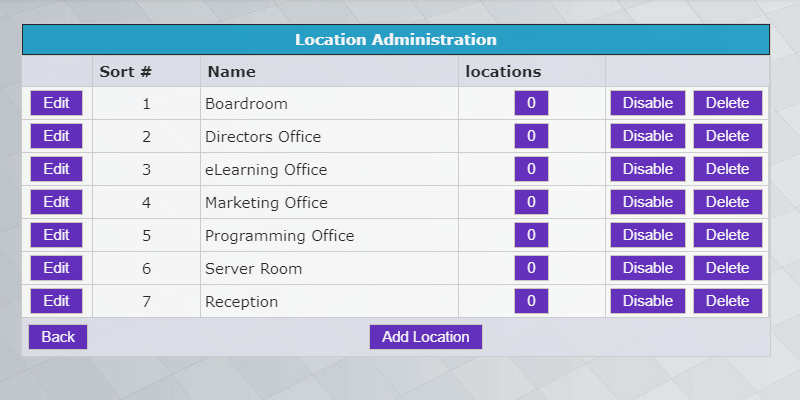 The authorised company supplier officers need to log onto the system using a secure username and password in order to process information.